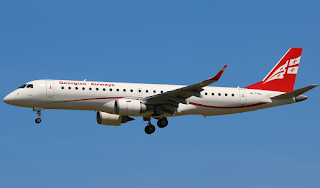 Georgian Airways has announced plans to start an additional two new routes for summer 2019, starting in April. 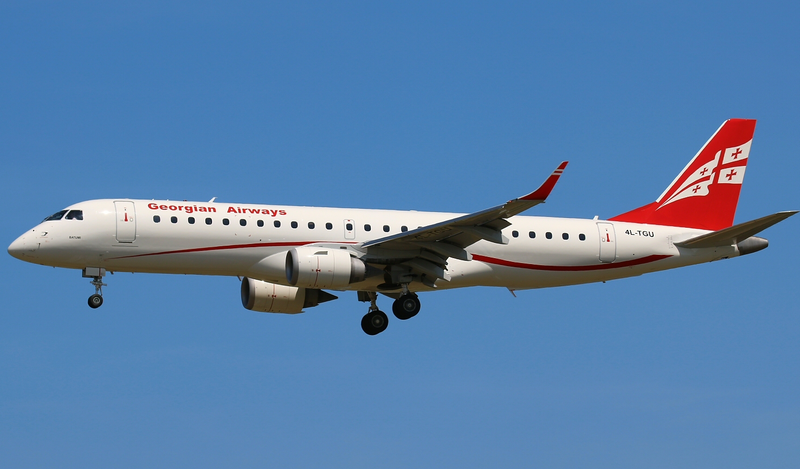 The airline will use an Embraer E190 to fly from Tbilisi twice a week to Ufa and also operate three times a week to Vilnius. At the moment the provisional schedule for the Ufa flight departs Tbilisi at 2030 with arrival at Ufa, Russia at 2355. The return is scheduled to leave at 0100 to land back in at 0230. Flying out on Wednesdays and Saturdays. The Vilnius flight is scheduled to depart Tbilisi at 1900 on Tuesdays, Thursdays and Saturdays, with an arrival time of 2100. The return will leave Vilnius at 2200 local time with an arrival back in Tbilisi estimated for 0200 the next morning. Both routes are due to be served by an Embraer E190 with a configuration of 97 seats, split between 88 seats in the economy cabin and 9 in business class.